Sunspel and New & Lingwood use another waistband with two rows of stitching and an exposed elastic. In my opinion, it’s more comfortable, though I can’t say it’s the best waistband in the world. 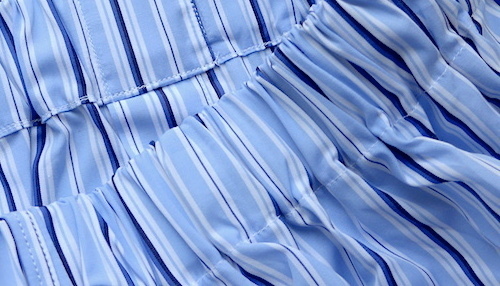 Besides, you can also find boxer shorts which are equipped with a waistband with two rows of stitching and a hidden elastic. It can be quite comfortable. Polo Ralph Lauren uses this type of waistband. 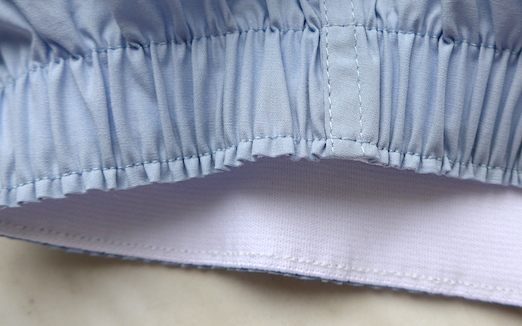 Turnbull & Asser boxer shorts. It’s sometimes called tunnel or channel waistband. 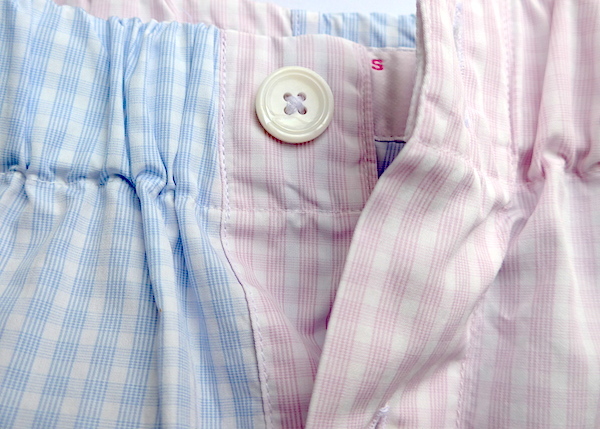 You can find it on Emma Willis, Budd, Udeshi, Turnbull & Asser, Berg & Berg boxers. Sunspel sometimes also uses it, but only for its premium line boxers. As Udeshi says, ‘the extra soft and wide elastic is inserted in a fabric tunnel, so there is no direct contact with the skin, and it is inserted in such a way that there are no red stretch marks around the waist’… but I must add that sometimes you can get these red stertch marks even if you wear boxers with the channel waistband. 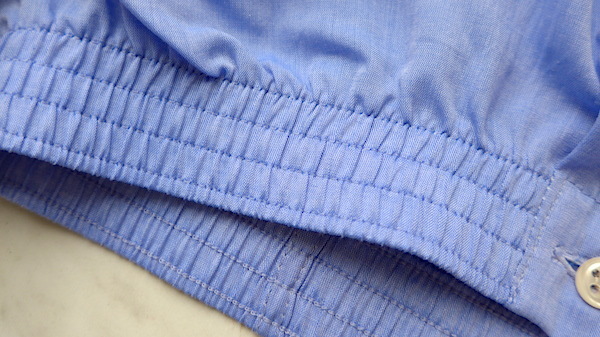 You can find at least two variations of this waistband. The first version (pictured above) is used by Turnbull & Asser, the second one (pictured below) – by Emma Willis. In my opinion, Emma Willis version is more comfortable, but I cannot bet you will agree with me. Anyway, the difference is simple: Turnbull & Asser (as well as Budd) uses an ‘unbroken’ (closed) circular elastic, while Emma Willis prefers elastics which are ‘broken’ by buttons. I think it’s a matter of taste; high quality boxers can feature closed front waistband with no buttons as well as button front waistbands. This entry was posted in Boxers, England, Italy by Dmitry_Vasfilov. Bookmark the permalink.